Home DIY Easy Diy chalkboard using a cabinet door! 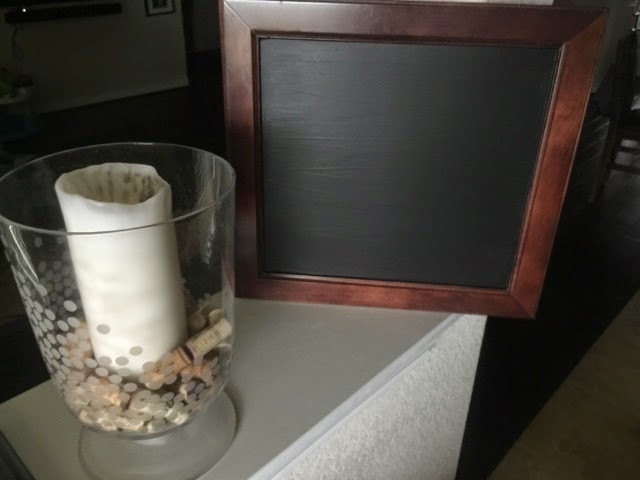 Easy Diy chalkboard using a cabinet door! This was by far the easiest DIY project I've done! Plus it was all free! There was a damaged new bathroom vanity on the sidewalk that was being discarded in front of a new house in my neighborhood. I couldn't leave well enough alone so I asked and the workers said I could take the doors off. I'm sure they thought I was a bit crazy but it was free and I knew I could find something to do with it! I took it home and put on a coat of valspars black chalkboard paint. I still had the can from my neighbor! Plus she was with me when I got the door and told me I could use it for this project as well. Let me tell you, that small can goes a long way! Then, I let it dry overnight and put on a second coat. That's it! In retrospect the chalkboard paint would be smoother if I used a roller but I was just too excited and slapped it on with a sponge brush. I could also paint the trim but I like the way it looks as is. What do you think? DIY Cars themed birthday party!